Blue Apron’s business model of bypassing the supermarket and shipping meal kits direct to consumers’ doors hasn’t lived up to the hype or the hope. It has, instead, been shedding customers and shareholder value at close to unsustainable numbers. Seeking salvation, it now is pinning its resurgence on capitulating a portion of its distribution into the hands of the very retail channel it once shunned: grocery stores. Can it work? Or will Blue Apron be just another brand name competing for shelf space and consumers’ attention? In 2012, Blue Apron burst on the scene as an innovative startup with its eyes on “building the largest fresh-grocery distribution platform in the country,” according to a 2015 Business Insider article on the phenomenal early growth of the company. As the article points out, within its first three years, Blue Apron went from zero to $2 billion in value. Now, just six short years later, Blue Apron’s fortunes are in reverse. With its stock valuation and online subscriptions dwindling, Blue Apron is searching for new avenues to reach more customers. One can speculate that the impetus for Blue Apron pursuing brick-and-mortar retail partners was spurred by Albertsons’ acquisition of Plated, Amazon launching its own meal kit services and piloting its own physical retail stores and news that formidable retailers like Kroger, Publix and Walmart are concocting their own in-store meal kit programs and products. While Blue Apron’s move into the physical retailing space may provide another avenue for consumers to experience their products without a subscription, it’s also a move that creates an entirely new set of challenges for the company. 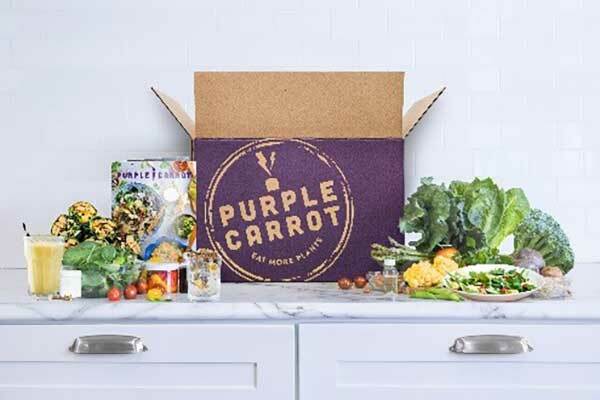 Aside from the aspect that it must now operate as a “brand” in food retail, it will now sell through intermediaries, many of whom may have their own meal kits programs they will compete with or have meal kit programs waiting in the wings. Another hurdle is one of price perception. It will be interesting to watch what the price point will be on the meal kits once they hit store shelves. If the cost per person, per meal is comparable to that of a meal at a fast casual restaurant, then what’s the attraction to consumers to purchase when they still have to take it home and prepare the meal? Will Blue Apron have to offer discounts to invite trial? With discount and marketing programs, Blue Apron becomes another brand at a store shelf. There is growing interest in online meal kit services. According to our Food Shopping in America 2017 report, one-fourth (25 percent) of consumer respondents said they have used an online meal kit or snack box delivery service in the past three months.? The basic premise behind the meal kit concept is to provide consumers with a solution to the age-old question of “what to cook.” In the hopes of removing “barriers” to planning, shopping and acquiring all the ingredients required by recipes, meal kit delivery companies would upend/modify/improve the very notions of what cooking was or can be. 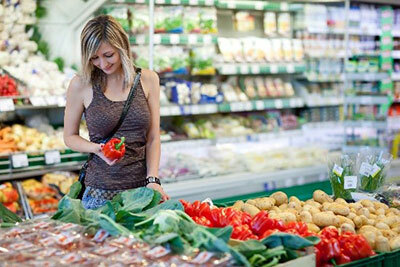 And America’s consumers are still very much fond of cooking at home. Our Transformation of the American Meal 2017 report finds that while 61 percent of consumers say they love to cook at home, 69 percent say they mostly cook simple, easy-to-prepare dishes. At the same time, Americans are dedicated restaurant diners who love going out to eat even more than cooking at home: 71 percent of consumers say they love to go out to eat. The reality of cooking is that it requires mental and physical labor at every phase, however much one likes to cook. Meal kits ease the burden of planning and procuring ingredients and enable cooks to create meals not typically available to consumers. 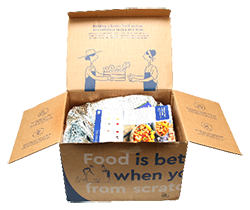 Consumers tell us that a positive benefit of using meal kits is augmenting stale routines and opening doors for social cooking (within a family or household). However, some consumers say a barrier to using meal kits is that they require more labor and time cooking than a typical weeknight meal. The opportunity space for selling meal kits (branded or otherwise) in grocery stores is not just one of scale via access to more than tens of thousands of stores across the country but a successful bridging of the gap between consumers’ healthy ideals and indulgent desires. Consumers will make the investment and have the capacity for trying new solutions that deliver on specific mealtime priorities, such as pleasing diverse palates within the household, exploring global or ethnic cuisines, or eating more healthfully. The recipe-in-a-box model championed by Plated, Blue Apron and others seems like a natural fit for grocers. Meal kits are part of a broad array of technology-driven choices that consumers are just beginning to experiment with in the context of already piecemeal, fragmented food-shopping patterns.